Andy Goss, president of Jaguar Land Rover North America: "Both brands have some similarities in the fact that we are planning for growth predicated on product introductions." Fueled by a $2.45 billion annual investment in products and powerplants over the next five years, the Jaguar and Land Rover brands can each boost U.S. annual sales to 50,000 units, says new U.S boss Andy Goss. "Both brands have some similarities in the fact that we are planning for growth predicated on product introductions," said Goss, 53, who became president of Jaguar Land Rover North America on May 1. But the goal is for Jaguar and Land Rover to draw first-time buyers, meaning the brands will have to build awareness, said Goss. And Jaguar's 160 dealers, whose stores are a mixture of styles, will be urged to upgrade to a new common standard that will be rolled out in 2012, he said. "From the network perspective, dealing with the volume isn't the issue," said Goss. "In terms of the network, it is getting them ready to understand that they will be dealing with people they haven't dealt with before. You have to make them feel special." Goss said new marketing programs will focus more on one-on-one strategies, such as events to get would-be buyers behind the wheel of a Jaguar or Land Rover. Five Land Rover training teams already are touring U.S. dealers preparing them for the launch of the new compact Range Rover Evoque SUV on Oct. 4. About half of Evoque buyers are expected to be women, Goss said. Today about three-quarters of all Ranger Rover and Land Rover buyers are men. 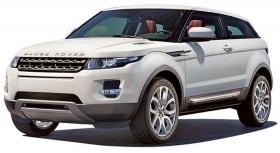 The compact Range Rover Evoque arrives in October. The price: $43,995, including freight. The Evoque has a base price of $43,995, including shipping. It will compete with the Audi Q5 and Mercedes-Benz GLK. 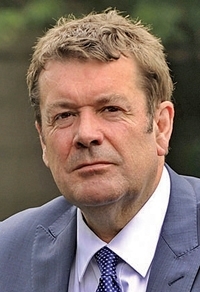 Land Rover is expected to sell about 10,000 Evoques a year, which could push U.S. sales to 50,000 units in 2012, said Goss. Last year Land Rover sold 31,864 units here. It had sales of 20,103 vehicles through July. Land Rover is expected to show a concept version of the new-generation Defender -- the brand's most utilitarian vehicle -- at the IAA in Frankfurt next month. Although the brand pulled the Defender from the United States in 1997 because of slow sales, U.S. management is considering bringing back the new generation. Jaguar also will add smaller vehicles, but they won't be on the market for a few years, Goss said. The brand is reviewing segments that it might enter, he said. Jaguar has only three nameplates -- the XK coupe and convertible, XF mid-sized sedan and XJ full-sized sedan, which was redesigned last year. It sold 13,340 cars in the United States in 2010 and 7,394 vehicles in the first seven months of 2011. Jaguar management has confirmed that the brand is considering a small sports car, which may debut as a concept at the Frankfurt show. Goss wouldn't provide details but noted that Jaguar management has said the brand needs a small sports car and a sedan to compete with the BMW AG's 3 series. But the new vehicles will not include a rumored crossover based on the small sedan, he said. Once of Jaguar's biggest disadvantages is that its only powerplant is a 5.0-liter V-8 engine, now used in all three models, said Goss. New engines are in development but aren't likely to arrive for a few years. To prepare for the hoped-for surge in growth, Jaguar dealers need to upgrade their stores. But new facilities standards won't be compulsory, Goss said. Details aren't yet available, and the program has yet to be discussed with the Jaguar dealer council, he said. It has been tried before. When Ford Motor Co. owned Jaguar and wanted to increase sales, it launched the Mondeo-based X-Type -- a car that tarnished Jaguar's reputation and its image. Many dealers ramped up facilities only to see sales fall as Ford's Premier Automotive Group foundered. Goss also wants the brands to expand sales outside their traditionally strong markets: the New York region for Land Rover and California for Jaguar. Ford sold Jaguar and Land Rover to Tata Motors Ltd. of India in 2008. Tata management has steadily been replacing Jaguar and Land Rover top executives in the United Kingdom. Major changes to U.S. management, including the appointment of Goss and new marketing heads for both brands, weren't made until this year.